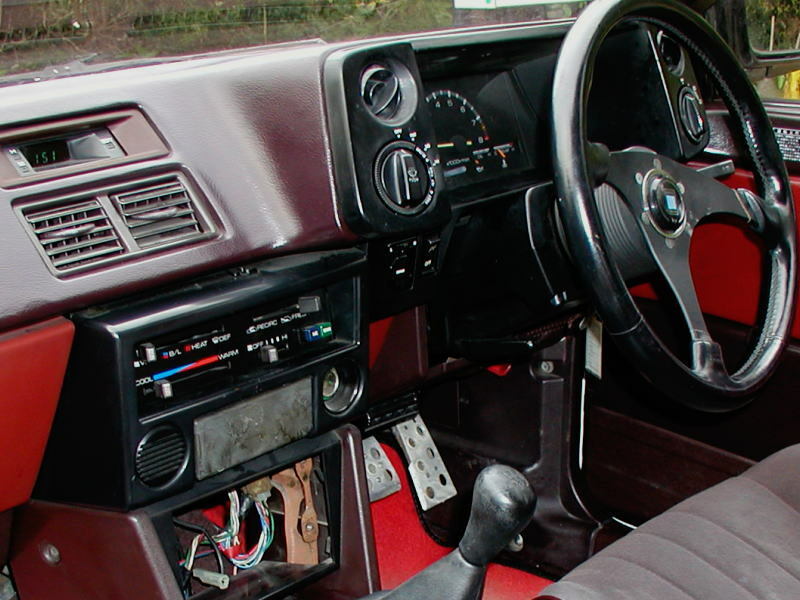 Toyota sprinter Trueno, Corolla Leven AE86 specifications - J's Garage Export Co., Ltd.
1983.05 : The FR light-weight sports car AE86 Levin and Trueno, called "HACHIROKU", were introduced in 1983 for those who enjoy sporty driving. 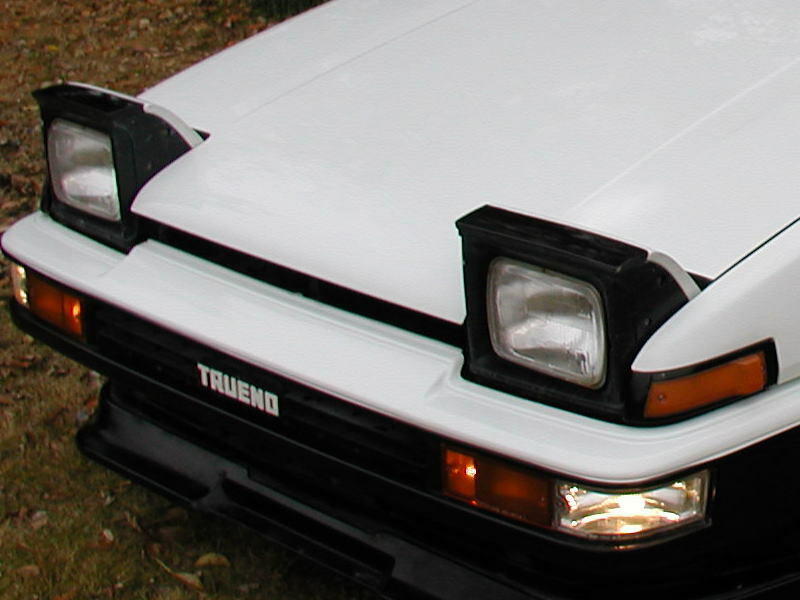 The Trueno adopts pop-up headlights. 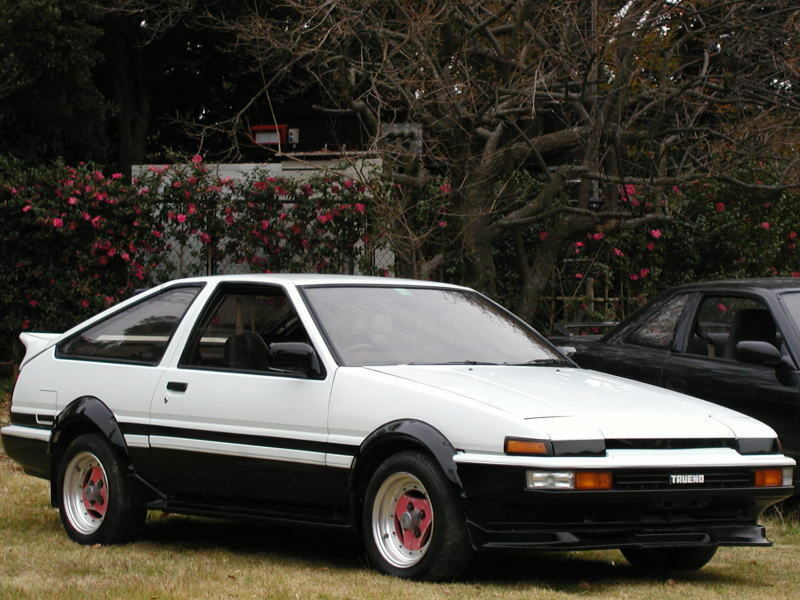 There are two 2-door coupe and 3-door hatchback coupe models in the AE86 Levin/Trueno line. 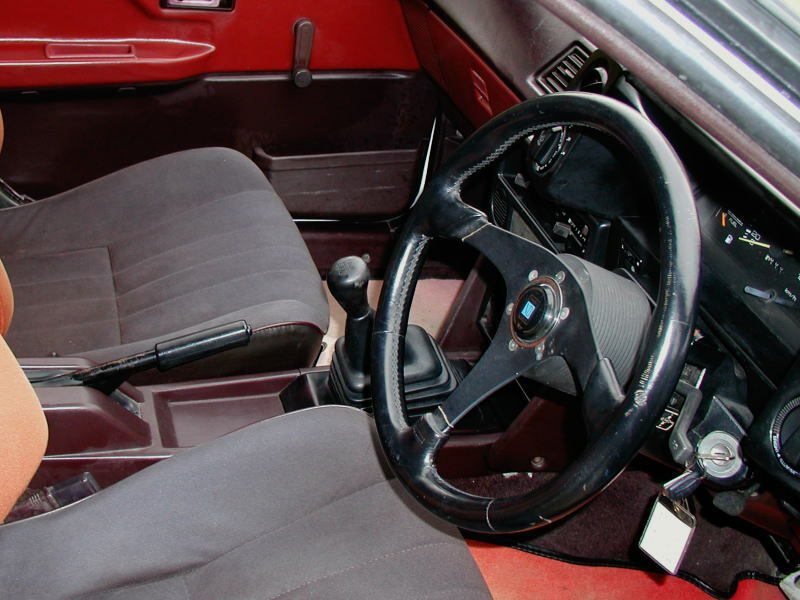 The Levin and Trueno 2 door coupe include GT with drum rear brakes and GT-APEX. And The Levin and Trueno 3 door hatchback coupe include the sportiest GTV and GT-APEX. The AE86 Levin and Trueno is powered by the 4A-GEU 1.6-liter DOHC engine, approximately 23kg lighter than a 2T-G engine,that develops 130 horsepower and 15.2kg-m of torque. 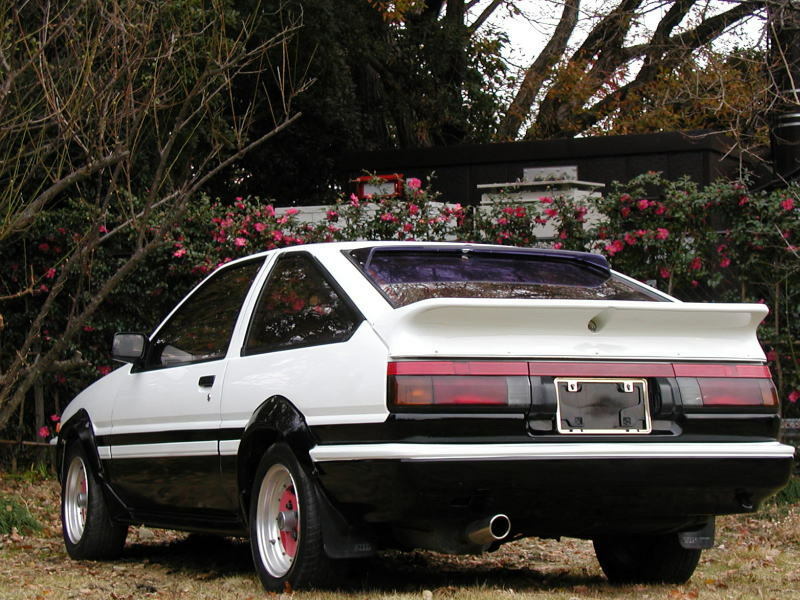 The main features of the AE86 Levin and Trueno GT-APEX are mud guards, bronze glass, rear wiper (3dr), electronic display meter (3dr), oil pressure gauge, power steering (optional), rear room lamp, 185/70R13 tires, and alloy wheels. And the main features of the AE86 Levin and Trueno GTV are 185/60R14 tires, quick steering ratio (lock-to-lock : 3.0 turns), hard type stabilizer, and hard type suspension. 1984.02 : There were some minor changes. 1985. 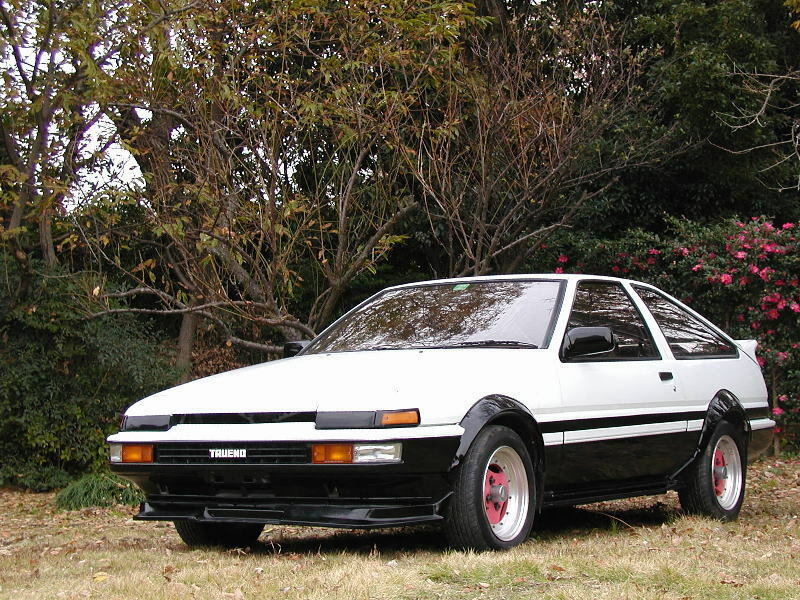 05 : There were mild face-lift for the AE86 with a new front design face, tail lights, and bumpers. 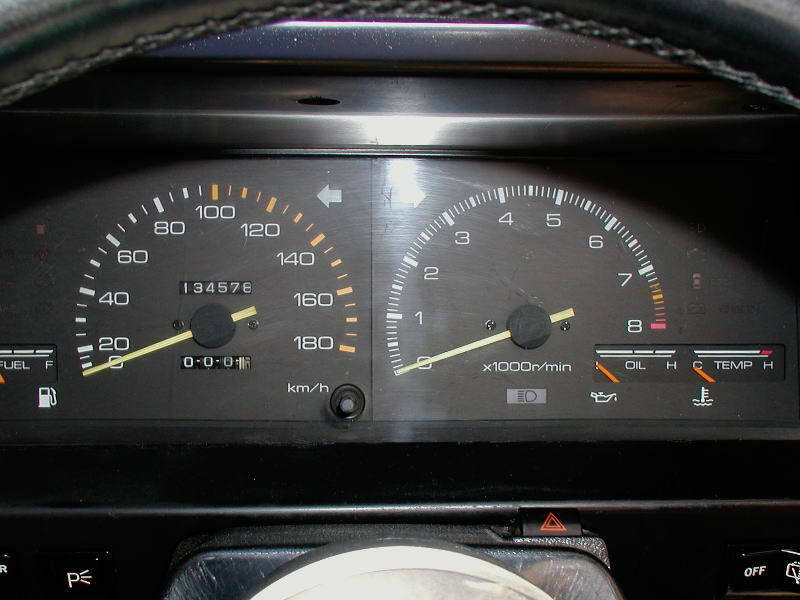 The electronic display meter has been changed to standard analog gauge cluster. Also an automatic transmission model was added. 1986.02 : The Black Limited was introduced to the AE86 Trueno line. 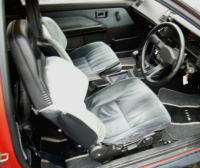 The Black Limited features including black metallic body color (204), ADVAN type A alloy wheels, a leather wrapped shift knob, a leather wrapped steering wheel, yellow bulb lights, and exclusive garnish.